Since the first cuts to academic programs were announced this spring, Stony Brook University has become engulfed in a wave of opposition. Various petitions and demonstrations have emerged at the forefront, but behind closed doors, Stony Brook’s most prestigious faculty members have organized their own protest movement. 42 distinguished professors signed a letter to Chancellor Kristina M. Johnson. Several names have been omitted in order to protect the identity of those who wished to remain anonymous. 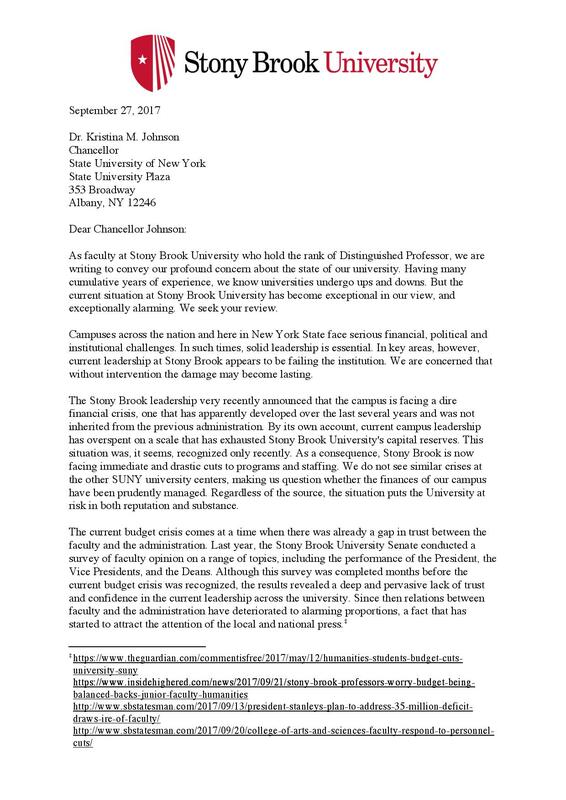 Citing a “deep and pervasive lack of trust and confidence in the current leadership,” the professors requested a meeting with Chancellor Johnson. Although Johnson responded to some of their concerns, she did not directly acknowledge their request for a meeting. 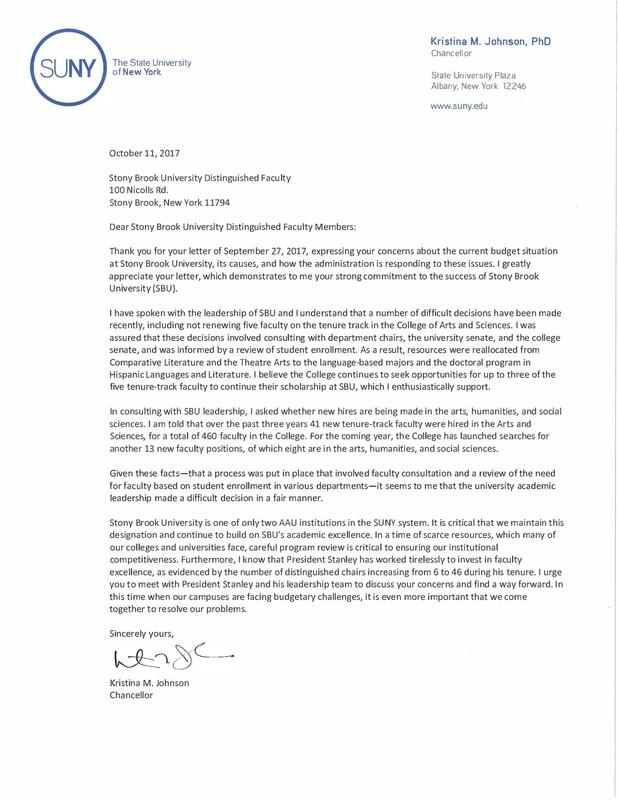 The letter prompted President Samuel L. Stanley, Jr. to meet with a delegation of 25 distinguished professors on Nov. 3 including some of those involved in the drafting of the letter. Among them was Kathleen Wilson, distinguished professor of history and director of the Humanities Institute at Stony Brook. Much of the discussion was centered on the idea that top university officials have not been transparent in communicating the details of the deficit. 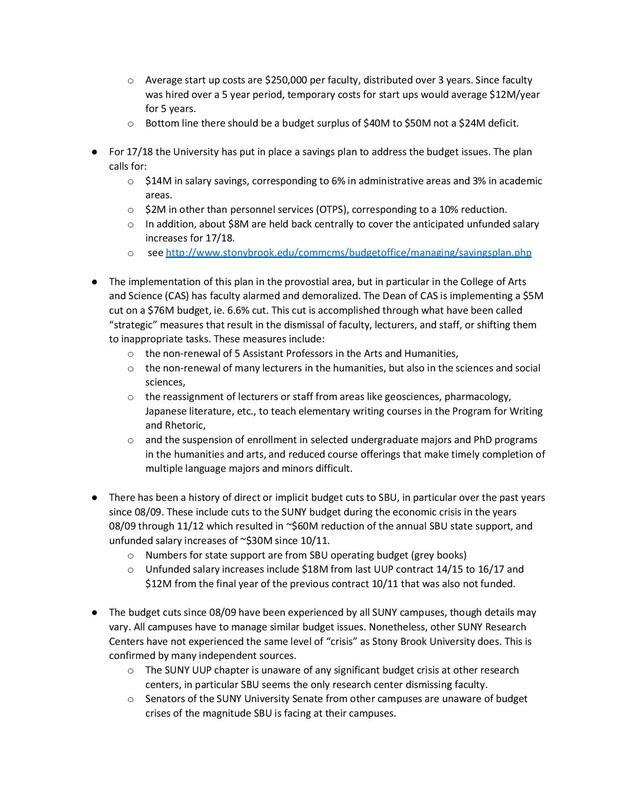 In an attempt to try and gain more clarity, the professors compiled a budget fact sheet outlining what they knew about the deficit and what discrepancies still remained. Many of the questions from the fact sheet were brought up during the meeting, but some professors in attendance said the president failed to provide a substantial answer. “He promised to address. But he never did,” said one professor in attendance who requested anonymity out of fear of possible retribution. 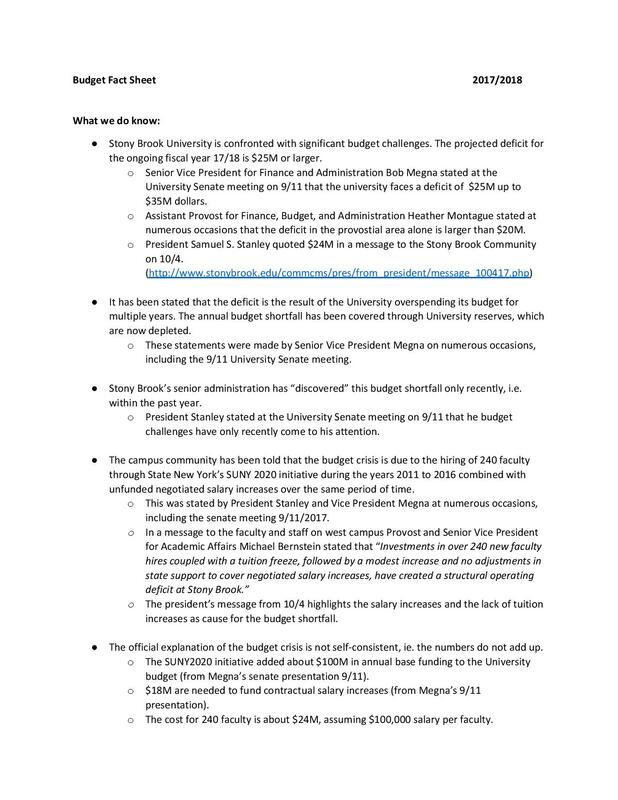 In order to prepare for the meeting, the professors put together a list of information they knew about the budget as well as some questions they hoped to clarify. Eager to continue their correspondence with the administration, the group sent out a follow-up letter to the president the week after its meeting. Schwartz said they have not received a response from Stanley. 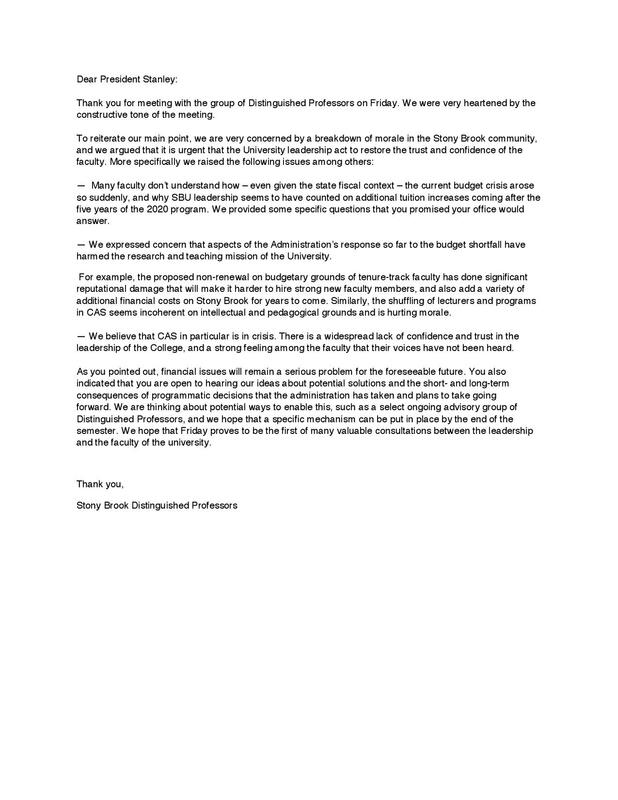 The letter the delegation of professors sent to President Stanley following their Nov. 3 meeting. 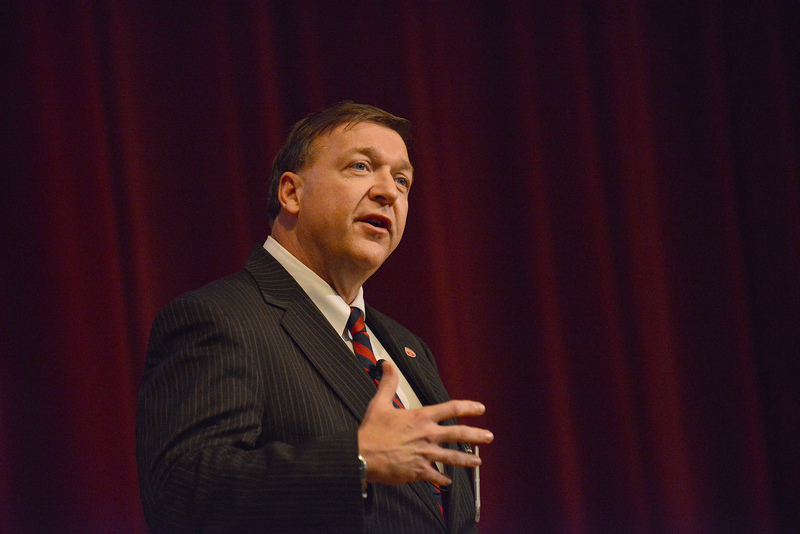 Although dialogue with the administration has temporarily stalled, Wilson said the professors have remained dedicated to the cause. She noted that earlier this year, widespread faculty resistance helped to dissuade the administration from making major cuts to the department of Hispanic languages & literature and prevented three tenure track faculty members from losing their jobs. Despite this, the movement shows no signs of slowing. 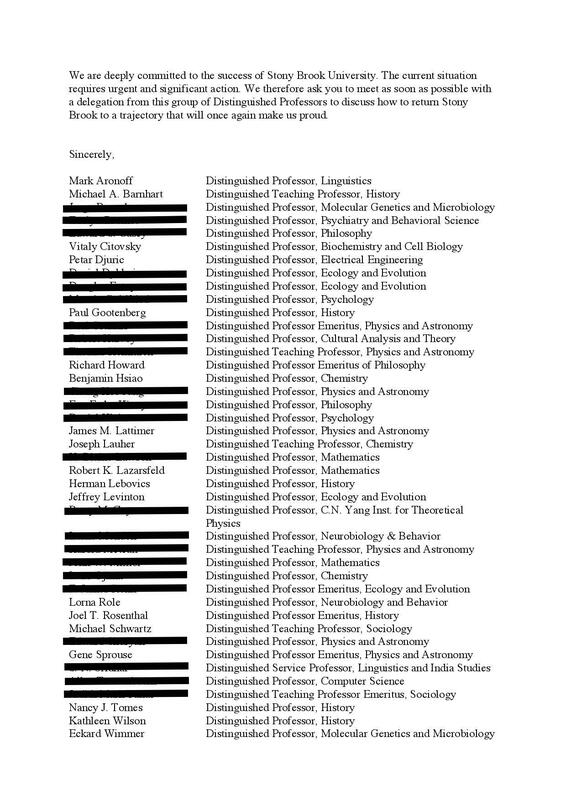 Since the original letter was sent out, the group of distinguished professors has grown to 55.